Thread: Tubliss, any one with experience .. Checking my KTM rear tire before heading to AZ I'm in definite need of a new rear tire. While researching tires appropriate to Western AZ I kept coming across folks talking about Nitromousse and Tubliss. I traveled down the nitromousse path far enough to find the consensus being zero street riding. OTOH lots of folks claiming street miles with Tubliss. My 500 exc is 98% dirt and 2% street. Really it's just I need plates to ride a lot of the offroad I do. So first does anyone have tubliss experience? And does anyone know of a shop who has experience installing tubliss in Tucson/Phoenix or anywhere else near I-10 in New Mexico/Arizona or I-20 in Texas? Isn't one of those things a way to flat-proof a tube type tire and the other a way to run a tube tire without a tube in it (theoretically avoiding a pinched tube flat and allow you to run lower tire pressures) ?
? When was the last time you had a flat tire because of a pinched tube ? for me that would be about 40 years ago and I think that was my own fault and caused during installation ymmv. 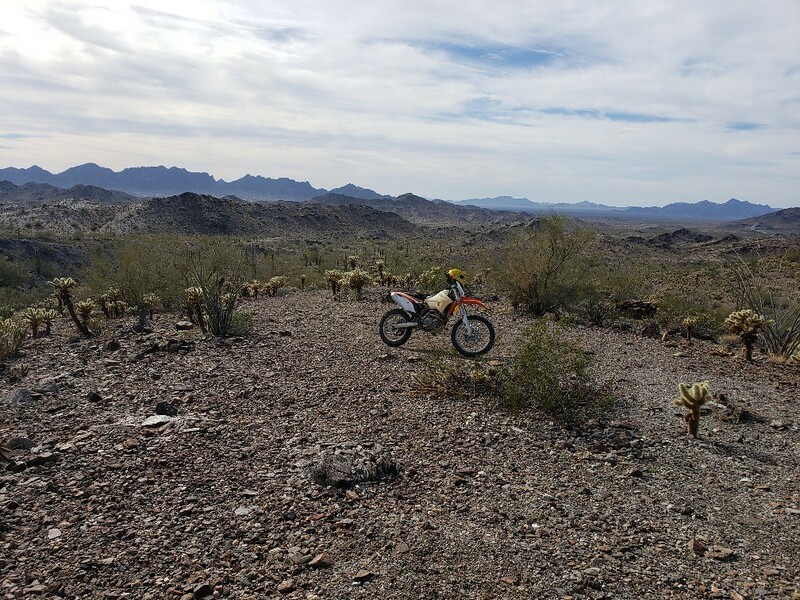 The big difference between running a regular (or hd) tube and tubliss on regular dirt bike is the ability to approach trials tires pressures without so much risk of pinch flats. Guys who were running tires at 10-12 psi are running tires at 5-7 psi. Plus most of the time if you get a flat in the middle of nowhere a regular tire plug is your fix. I've been relatively lucky but then again I've been running 12-14 psi w/ hd tubes. To be honest I've been waiting for it to be a proven technology. Guys who are serious offroad riders have been using it long enough to prove it at least to me and Nuetech is on the Generation 2 of tubliss. At my age I'll take any advantage I can get and to be honest riding a trials bike at 4 psi demonstrated the traction possible. ... riding a trials bike at 4 psi demonstrated the traction possible. pretty wicked isn't it ! Interesting.. might have to look into this further. Simply for the fact that I can change tubes on a mountain bike, but lack the motivation to do the same on a dualsport. Tire plugs are way simpler than spoons and tubes on the trail. I'm running a Sedona MX 907 at 7.5 psi Rear and a Shinko 216 mx Fat at 8.0 psi Front and the grip on these rocks down here is great. Puncture of the high pressure tube (100-110 psi) has happened but it's relatively rare. A stiff sidewall is a positive. These are not DOT tires but I ride mebbe 5% highway on the KTM. After one week the high pressure tube had gone from 100 to 90 psi. The low pressure tires were the same. look at all the cute little bonsai trees! Cholla Teddy Bear Jumping Cactus. I was riding with a fellow from Montana who mebbe because he had knee armor and heavy duty dungarees thought he didn't have to mindful of that little plant. Took a Teddy Bear to the left knee .. tried to knock it off with his left hand mebbe because he was wearing heavy leather roping gloves. Then he had Teddy Bear parts in his knee and left hand. Tried to knock it off his left hand with his right hand. Nothing for it but to get out the pliers. Cholla spines are barbed. They go in easy .. they come out hard .. and painful. Some folks claim they'll jump out at you when your near. That aint true .. but you cannot brush by them no matter how lightly and not get stuck .. In the far right of the photo is something else that will cut you to ribbons. Ocotillo. Looks like just near bare semi-straight branches coming out of the ground. But those "branches" are covered in barbs. I brushed one a few years ago and it ripped thru my jacket like it was paper and lacerated my forearm. If I decide to persue more “dirt work” on my bike, I may look at that system for myself. 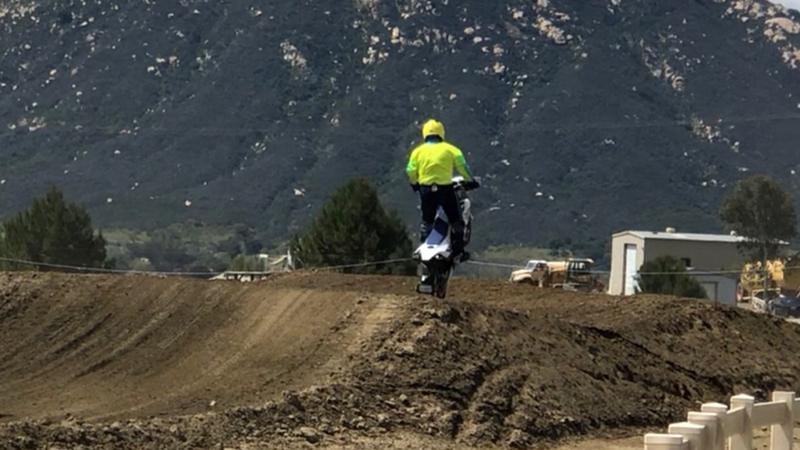 On that note, here’s me on an actual motocross track yesterday (with fully aired-up tires,) no less!